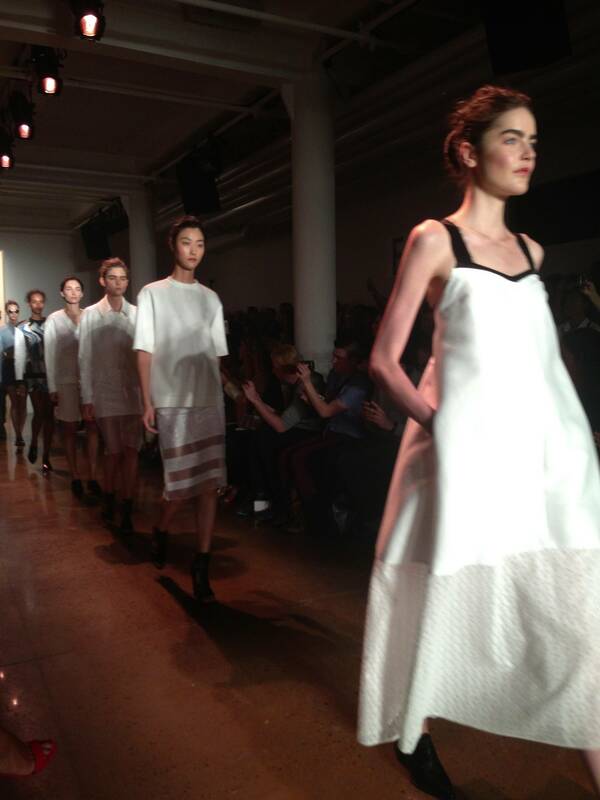 On Thursday night, Phillip Lim did his launch for Target. Jessica. Alba, Maria Sharapova, Nate Berkus and Cameron Silver were all there. On Friday, there were two fun things: the Project Runway show at Lincoln Center with everyones favorite, Nina Garcia, one of my favorite designers, Peter Som at Milk Studios. He describes the collection for spring 2014 as “surf style meets downtown.” The collection is full of iconic sportswear pieces such as sweatshirts and moto jackets, and and plays with the juxtaposition of menswear and womenswear coming together. Peter Som’s signature print/pattern mix can still be found this season with digitized prints, graphic florals, and stripes. At the show was Oliva Palermo, Elana Posner, Dani Stahl, Beth Blake, Lucy Sykes, Mary Alice Stevenson, Jim Chi and Adalina Wong. This is just the first few days of Fashion week and I am already tired.